Children’s Hour: Oh No, George! 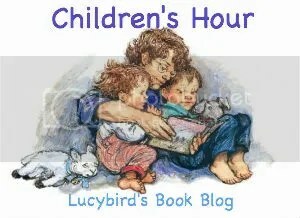 Children’s Hour is a feature posted every Thursday here at Lucybird’s Book Blog. Children’s Hour is my time for reviewing children’s picture books. In my job in a nursery I encounter lots of children’s books, and these are the books I use for Children’s Hour. You can find links to past Children’s Hour posts here. Oh No, George is a new book for us, and I love it (possibly a bit more than the kids. Have you ever read The Diary of the Dog? It reminds me a lot of that. Rather funny. It follows the dog, George when his owner is out. George really want to be good, but there are so many tempting things, Oh No, George! It’s a really easy book for the kids to join in with. They can guess what George is going to do. And talk about if he should do it. Then they can talk about what he needs to do when his owner is sad with him. There are beautiful bright pictures too, which I love.